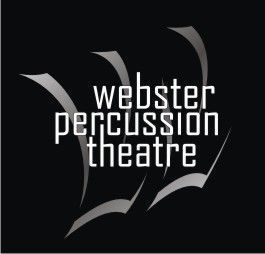 The Webster Percussion Theatre is a performance group designed to create an additional outlet and performance opportunity during the winter months. This group is a percussion ensemble. We welcome students who play other instruments to join that are willing to learn a new instrument and would like to be a part of this ensemble. The Webster Percussion Theatre (WPT) has a short but rewarding history. WPT began in 2011 and rose to 2nd place in our division at the New York State Indoor Percussion Championships in our first year. During their second season, they transformed from a standstill unit, where they competed the year before, to a moving unit competing with others that had been in this class for years finishing in fourth place. In 2014, WPT evolved into something new by taking on the Independent Class. The result was becoming champions of the NYSPC PIA-SS class. WPT returned for the 2017 New York State Percussion Circuit competitive season after a period of inactivity. Jerbrel Bowens, Percussion Caption Head of the Webster Marching Band, headed the program as director. WPT plans on competing in the NYSPC Percussion Independent A class (PIA). The cost for 2019 season is $TBD per student and there will be fundraisers in which families can participate. This covers all instruments, equipment, uniforms, staff expenses, show expenses, and a performing members banquet at end of season. Use the form below to ask questions or register your interest in Webster Percussion Theatre.